Paros is a magnificent Cycladic island with rich history and culture. Visitors of the island must visit Ekatontapiliani church, the Frankish Castle, the archaeological museum and the ancient marble quarries, walk on the picturesque alleys, discover the butterfly valley, swim in the crystal clear waters of its sunny beaches and take a trip to the nearby Antiparos. White Dunes organizes various trips for its guests in order to cover every need, whether they wish to follow the historical tracks of the island or to swim in a remote beach or to visit some of the neighboring islands. 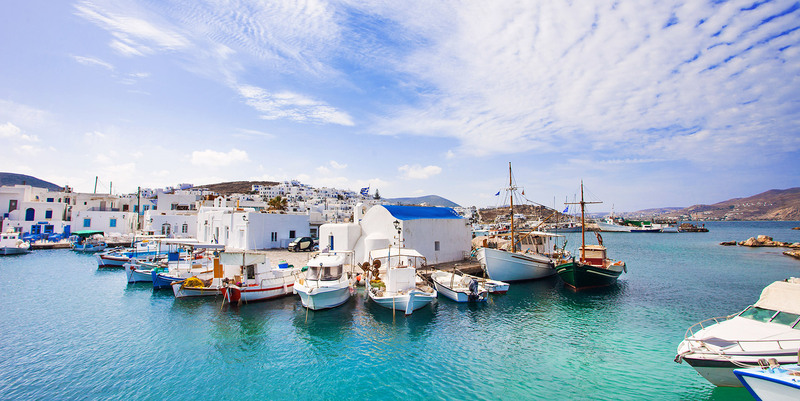 Paros is a magnificent Cycladic island with rich history and culture. Visitors of the island must visit Ekatontapiliani church, the Frankish Castle, the archaeological museum and the ancient marble quarries, walk on the picturesque alleys, discover the butterfly valley, swim in the crystal clear waters of its sunny beaches and take a trip to the nearby Antiparos.